When it comes to breaking down sheet goods, track saws are a great lower priced alternative to tablesaws, but a good portion of the cost of a track saw is in the track itself. Worx has found a way to lower the cost of their new WX530L ExacTrack Cordless track saw by allowing it to use any straightedge up to 1-inch thick as its "track". The clever design feature of the Worx ExacTrack has a portion of the saw rest on top of your straightedge, which allows the blade to be positioned right against the straightedge; thus allowing for a flush cut to the straightedge. At least that is the theory; whether it works as well as we hope is for us to decide. You can see for yourself how the feature works in the videos attached below. 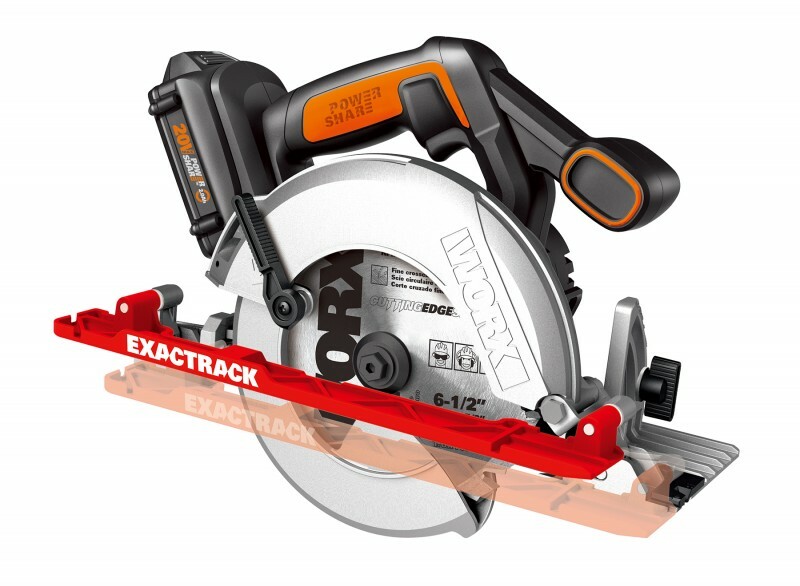 The ExacTrack feature is enabled and disabled with the flip of a switch, which allows the track saw to be used as a regular circular saw for all of your other circular saw needs. The Worx ExacTrack has a maximum depth of cut of 2-inches, which is much larger than many track saws on the market today—an added benefit of not having a thick metal track under the saw. A track saw is great, but a cordless track saw is even better, and the Worx ExacTrack uses the same 20V battery that is used in their other cordless tools. In addition to the saw, the kit includes one 20V 2.0 Ah battery, a 3-5 hour charger, and a 24-tooth, carbide-tipped saw blade. It’s covered by the Worx 3 year warranty. at worx.com and Amazon for $119.99, which should make it the least expensive track saw on the market today. ORDER TODAY: https://goo.gl/ZH4Rta The WORX 20V ExacTrack is a multi-function compact circular saw used for cutting a variety of materials. Lose the cord and go cordless with WORX!